I was wary of the new Wolfenstein game. Coming from a new company was one strike against it. Seeing the videos beforehand, which didn’t inspire me to go out and play it, was strike two. But, when all is said and done, Wolfenstein: The New Order is actually a fun game to play, even with the game engine problems it has. I should have know this was going to be a solid action game. MachineGames actually has a few former Starbreeze Studio folks as founders. Starbreeze made 2004's incredible Chronicles of Riddick: Escape from Butcher Bay, so the company already has a solid group of people starting out. The New Order takes place in an alternate 1960 where the Nazis have won World War II and are now in control of the world. Playing as B.J. Blazkowicz, you suffer an injury during the war in 1946 that has kept you in an asylum, before awakening in 1960. Helped by Anya, daughter of the family that operated the asylum, you raid a prison to free an old colleague and revive the Resistance in order to take down the Nazis and the main antagonist, General Deathshead. The New Order falls more in line with old-school shooters. You’ll be able to access every weapon you find, load up on armor and health through packs and parts, and shoot anything and everything that moves. Health regenerates, but you can go over 100 percent at times with certain items, which tick back down to 100 percent, even if you don’t get shot. Armor is also vital. You’ll be able to pick up some from the enemies you take down, or you can find some simply laying around. You’ll have to press a button to pick up anything, which would make more sense if you were limited in the amount of weapons you can carry. But, seeing as how you can hold every weapon in the game at one time, forcing the player to pick up ammo and weapons seems a little out of place. Yes, it’s just like how a lot of old-school shooters were, but I wouldn’t have minded if you would just pick things up automatically by running over them, and only using the interaction key for doors and events. While there’s a really great cast of non-player characters in the Resistance, the game is mostly a solo affair. Which is unfortunate, as I would have loved to have gone to war with many of them. There’s really only two missions that let you fight alongside an ally, and I hope that if there is another Wolfenstein in the future, that we get more of a team feel. Until then, you’ll be taking out the Nazis alone and seeing what others do in cut scenes. 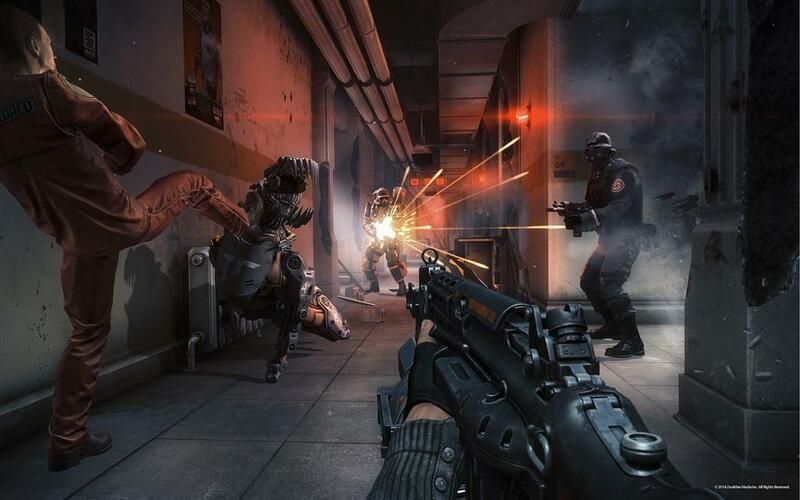 Most of the weapons are standard fare for shooters, such as a shotgun, assault rifle, pistol, and sniper rifle. A lot of the weapons can be dual wielded, so if you just want to unleash a barrage of bullets without prejudice, you'll have the opportunity. Let me tell you, it can be pretty satisfying to mow down a group of Nazis with a rifle in each hand. The laser you get about a third of the way through will probably be your primary weapon. It’s powerful and has the dual purpose of cutting holes in fences and certain metal sheets, as well as shooting Nazis. Along the way, you’ll be able to find upgrades, e.g., a scope to become more effective against machines. It’s an effective weapon that has multiple uses and is fun to wield. Other weapons can get upgrades too, which is nice. The pistol can get a silencer attachment. The assault rifle can fire rockets. Shotguns can fire two different types ammo. While there are basic weapons, MachineGames has put some variety into them, making them a little more interesting to use. Depending on how you play the game, you can earn certain perks to make your job easier. If you’re stealthy, you can get more knives to to throw at people, and silence your pistol. Playing more aggressively earns you the ability to dual wield guns and carry more ammo. There are four categories and eight perks in each to give you a good variety of new abilities. The levels are mostly linear and consist of a lot of tight places. Once in a while you’ll get some more open spaces, but you can expect close-quarters fighting for the majority of the game. I will say, there are some really great environments to fight in and I love the architectural style throughout. MachineGames really did a great job at building a world ruled by Nazis. The atrocities that are committed, the horrors of war, the disgusting enemies that make you really want to end their lives, the atmosphere, and visuals are well presented--and disturbing, at times. The id Tech 5 engine does a fabulous job with some of the character models. Deathshead is visually repulsive with the way the skin is melting off his skull-like face. The female Nazi, Frau Engel, has some incredible facial expressions when she talks to you. And the scene where you see her up close after an incident at a camp is stuff that can give you nightmares. All the robotic enemies have such a great design to them with some very impressive and intimidating movements incredibly well crafted by the animators at MachineGames. The id Tech 5 engine can be an impressive graphical powerhouse, as Wolfenstein shows. 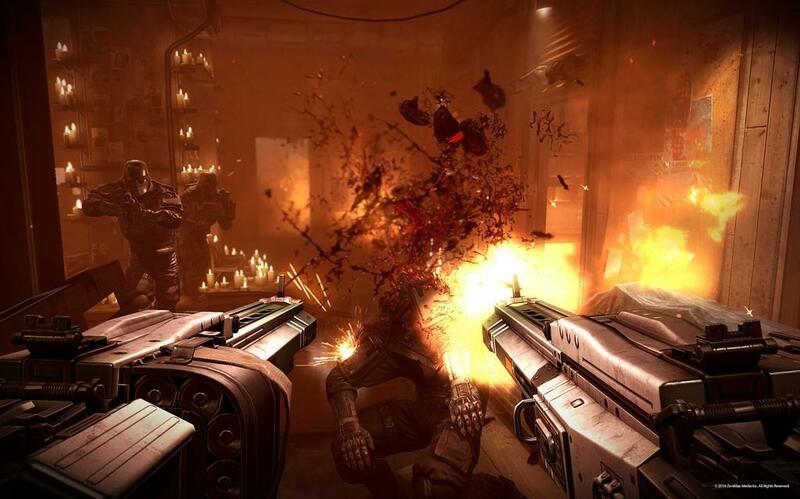 Since the game runs on id Tech 5, which was introduced in 2011's Rage, some of the problems we saw in Rage are still present in Wolfenstein: The New Order. I’m running it on an i7 4770k with a NVIDIA GeForce GTX 780, so my rig is no lightweight. But I’m still seeing texture pop-ins, and there are various other times where the performance just stutters. Considering I can run everything under the sun without any issues, I’m disappointed in the performance that id Tech 5 exhibits even after a few years since its release. But, I was able to get past most of the issues and have a fun time. Wolfenstein: The New Order is a rare breed: It’s single-player only, and it’s actually rather fun. I was really surprised at how much I enjoyed the game, given what I saw in previous conventions and what I read before its release. That said, if you’re looking for a fun, vicious, disturbing, over-the-top first-person shooter, Wolfenstein: The New Order is for you. If you are an FPS fan and have been hesitant to give it a try, I think you’ll be pleasantly surprised at how good it is. Some engine problems hold it back a little bit, but overall, this is a solid action game that deserves a look. 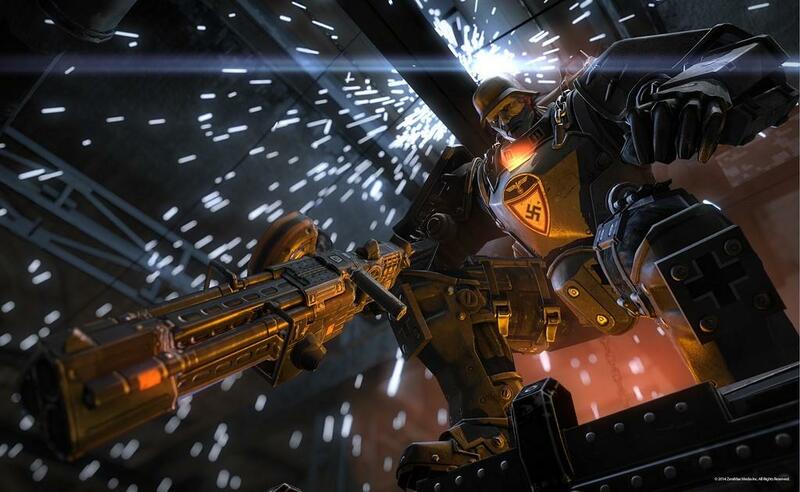 Wolfenstein: The New Order surprised me. I didn't expect to like it much, but I found the action fun and the visuals impressive. Performance issues still arise on the PC. Some of those issues, which stem from the id Tech 5 engine, should've been taken care of by now since they were present when Rage first came out in 2011. Overall, a solid action shooter by MachineGames.